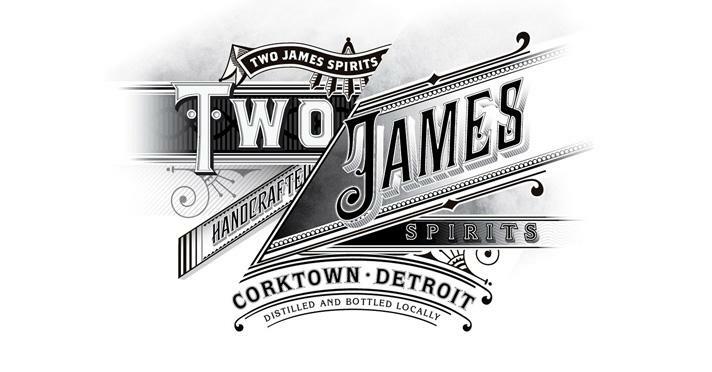 Two James is located in Corktown, Detroit's oldest neighborhood, and is the first licensed distillery in Detroit since Prohibition. Two James is committed to producing only the highest quality environmentally conscious handmade spirits utilizing locally sourced agricultural products with the aim of revitalizing the community and reinforcing the craft product movement. We invite you to join us in celebrating the Spirit of Detroit™, the Spirit of Family and the Spirit of Friendship. Two James....the Spirit with a Spirit.